While I liked the November Glossybox, I have decided that I will be cancelling this subscription after my January anniversary box. It's great to receive Glossybox for 1 to 3 months at a time but it's a little too pricy for me to justify staying subscribed for a full year. That being said, I do think Glossybox would make a great gift because it is jam packed with a variety of generously sized beauty products. 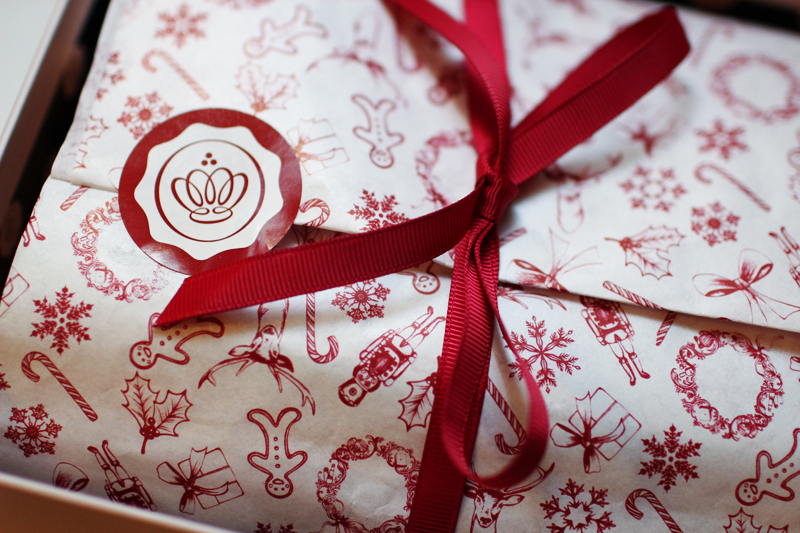 This month, we received a special holiday themed box. Instead of the pink ribbon and black tissue, the contents were packaged with a red ribbon and holiday themed tissue. We also received a copy of GlossyMag - I liked that the magazine contains some Canadian content. A little candy cane was also tucked into the box. 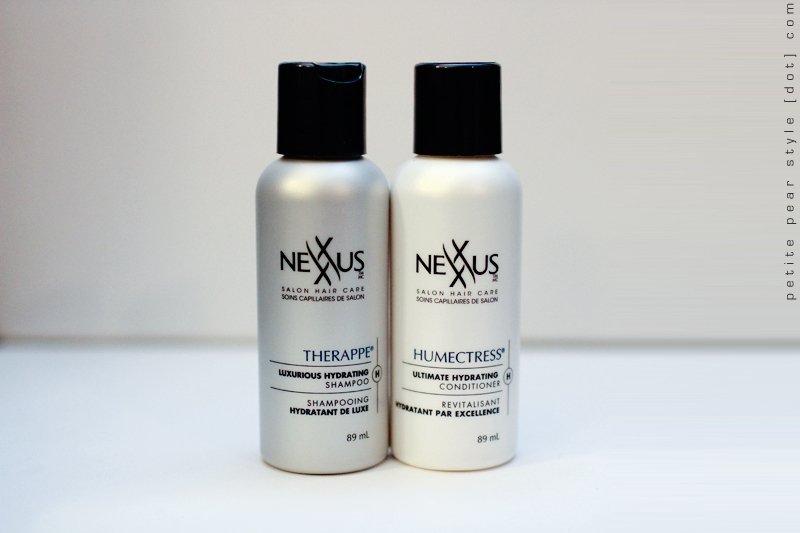 I previously received this shampoo and conditioner as bonus samples in my August Topbox. I thought the products were ok but nothing special. This was one of our bonus samples in the November Glossybox. 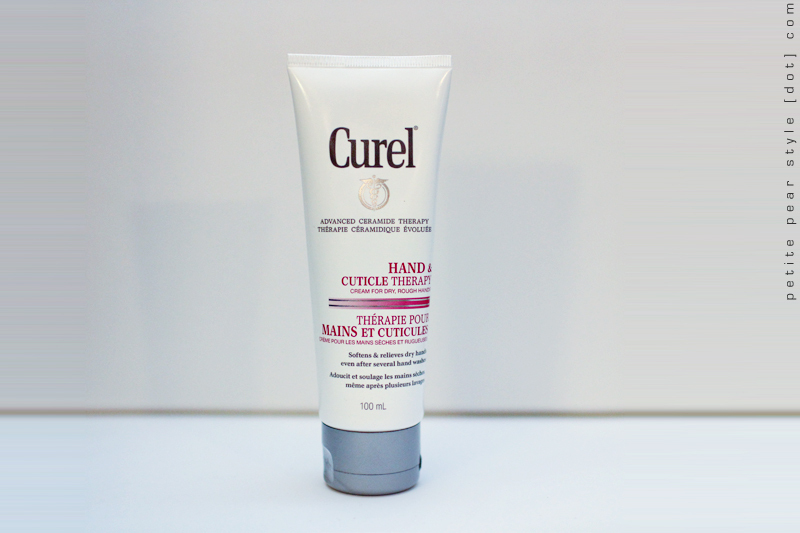 Although Curel is a drug store brand, I really liked the Foot Therapy Cream from my May Glossybox so I was still happy to receive this generous full size product. Impressions: I was expecting this hand cream to be very similar to the foot cream but it is actually completely different. The texture is a lot thinner and lighter than the foot cream, which is great... this hand cream absorbs very quickly and is not at all greasy. The scent is completely different from the foot cream, which I also like. I think this is a great hand cream at a very affordable price. 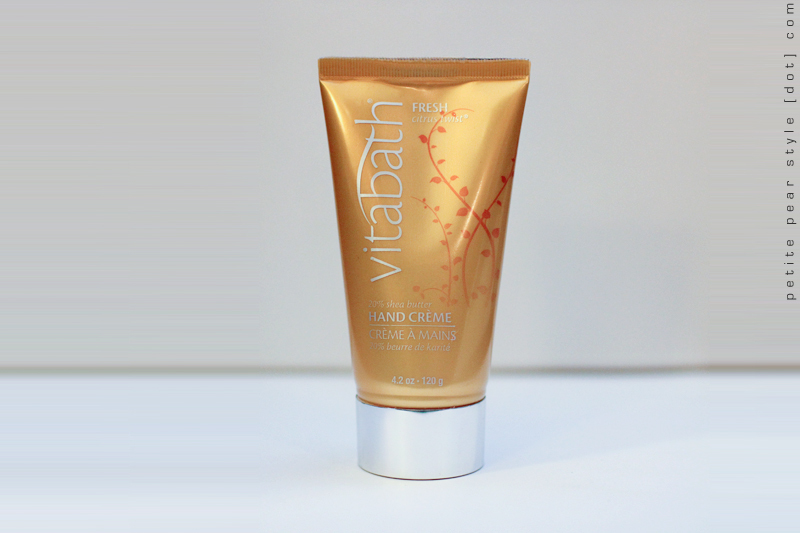 Impressions: This hand cream has a really lovely fruity, citrusy, fresh scent. Unfortunately, I found the cream to be very thick and heavy. It did not absorb quickly and left my hands feeling greasy. I'd probably use this cream on my hands (and maybe my feet) just before bed. When I was at the Glossy Party last week, I got to try a little of the Vitabath Original Spring Green Exfoliating Sugar Scrub... I wish I had received that product instead because I really enjoyed the scent and the effectiveness of the scrub. 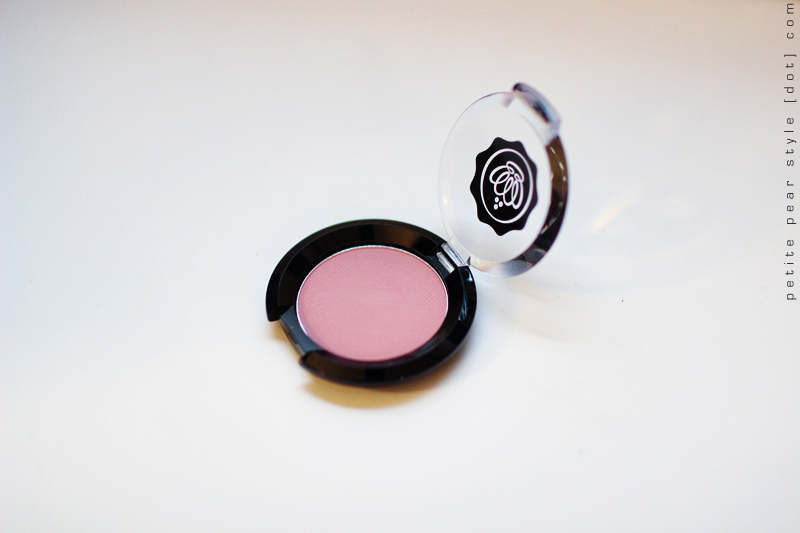 Similar to the lipstick we received in our August Glossybox, this blush shade is exclusive to Glossybox! Impressions: I am really loving this blush. It's a pretty, natural looking pink that gives my cheeks the perfect flush. It's quite pigmented and long lasting too. LOVE! MNY is a brand by Maybelline that is apparently targeted to a more young and daring market. With lip gloss shades like green and blue, I feel fortunate to have received a really pretty peachy/champagne tinted gloss - the website describes it as a warm beige. This brand is available in a few countries in Europe and I'm not sure if its appearance in Glossybox Canada is a sign that it will soon be available in the Canadian market? Impressions: I really like this gloss. It provides a nice shine to the lips and is not sticky. It feels reasonably moisturizing. This gloss smells very sweet but has no flavour (yay!). I do, however, think the price point is a little high... for some reason, I thought this brand would be priced similarly to Essence Cosmetics. I haven't purchased any Nicole by OPI nail polishes lately because I can get the regular OPI line at a lower price... but I still really like the Nicole line of polishes. I always love receiving nail polish and this pretty glitter polish was a welcome addition to my collection. Side note: The Glossy Party had a preview of the Nicole by OPI Selena Gomez collection that is coming out in January. I loved the peachy-pink shade called Selena but what was really exciting for me is that the nail polish had the big OPI brush attached to it. Nicole by OPI typically has a thinner brush, which I don't like as much. Impressions: This nail polish looks like it contains small teal, green, red, and gold glitter suspended in a clear base. I haven't worn this yet but I think it would be perfect for the holidays. Overall, I am quite happy with this month's Glossybox. As I was typing out this blog post, I realized that this box essentially contained ALL full size products this month (since the Nexxus shampoo and conditioner are sold in travel sizes of 89 mL). I think that is amazing but I don't think it will be enough to persuade me to stay subscribed. Instead, I am going to stick to my plan of cancelling after I receive my January box. Again, there is great value in Glossybox but I don't think it is a year-round subscription for me. I may just subscribe for a few months here and there when I feel like treating myself. We also received a loyalty card to Uber Beauty Products, which provides us with 50% off. I have never heard of this brand and I'm not sure if I will be making a purchase. Did you receive a Glossybox this month and, if so, what did you think of the contents? If you wish to join Glossybox through my invitation, I will earn Glossydots and send heaps of good karma your way! I am totally jealous of the nail and lip color you got. Have you considered ordering the myglam/ipsy bag, since they now ship to Canada? I liked the box this month! I actually like the box every month...but yes it's costly..and throw in another 7 subs it gets crazy. hahaaa i tend to like most of my boxes too... there are only a handful that i've been disappointed with. i can't believe i have 6 subscriptions going at the moment. when i initially started with glymm & topbox, i promised myself i wouldn't go higher than 2-3. yeah right!